There have been claims that Egyptian workers have been revolting against capitalism but at a closer inspection of the pattern of workers’ protest, the various demands made by them and their mode of organisation do not substantiate such a claim. Activism by workers, in the decade preceding the January 25th, 2011 revolt, has been pivotal in paving the way for the overthrow of Egypt’s long-serving president Hosni Mubarak. In July 2013, the workers, together with millions of Egyptians, took to the streets again to demand the removal of Mohamed Morsi, the Islamist president, who was elected into office in June 2012. Otherwise, workers chose to go on localised, dispersed wildcat strikes and other forms of protest, demanding improvements in their conditions rather than the wholesale transformation of the system. The Egyptian labour force is approximately 26 million, in a country of more than 80 million inhabitants. However of those 26 million, only 6 million are members of trade unions, where half are members of the Egyptian Federation of Trade Unions (EFTU). The EFTU was decreed into existence by the Nasser regime in 1957, it is younger when compared to its Tunisian counterpart, the Union Générale Tunisienne du Travail (UGTT) established in 1946 upon the initiative of the Tunisian labour movement, and which has maintained its independence even during the authoritarian rule of Habib Bourguiba (1957-1987) and Zine El Abidine Ben Ali (1987-2011). Since then, Egyptian workers have been kept on a very tight leash. In the absence of independent trade unions, the EFTU became the only legal umbrella organisation for labour in Egypt. It did not organise workers, empower them or represent their demands to the state. Instead, its key function was to translate the wishes of the authoritarian state into compliance by the workers, through enmeshing them in a web of material incentives that made it very costly for them to deviate. This worked well during the 1960s, when the state was both willing and able to provide near full employment and a plethora of benefits for workers. During the 1970s and 1980s, Egypt reversed its path and adopted liberal economic and social policies, sometimes with reluctance and other times ardently. Slowly but surely, the socialist model and the perks of workers got dismantled. By the end of the 1990s, with the acceleration in the pace of privatising public services and state owned enterprises, the discontent of workers grew and over the next decade, up until the overthrow of Mubarak - it swelled into a protest movement never seen in Egypt since the early 1950s. This surge could be clearly seen in the number of strikes and other protest activities during this period. In 1998-2003, there was an annual average of 118 protest actions, including strikes, demonstrations and sit-ins. This jumped to 230 actions per year on average in 2004-2006. In 2008, there were 609 actions involving more than half a million workers from the private and public sectors: 122 strikes, 253 unauthorised gatherings, 174 sit-ins and 60 demonstrations. This period leading to the January 2011 revolution galvanised the workers and helped them break the wall of fear that had been surrounding them for decades. The first calls for the removal of Mubarak were made in 2008 during one of the strikes in Mahalla, the centre of the Egyptian spinning and weaving industry containing one of the largest concentrations of workers in the country, where his poster was being trampled under the feet of angry crowds. Another milestone from this period followed another sector-wide successful strike, by real estate tax authority workers, who succeeded in establishing their own independent trade union outside the purview of the EFTU - the first such development since the establishment of the EFTU in 1957. In January 25 2011, Egyptian workers threw their weight behind the demonstrators in Tahrir square. Their participation was decisive in toppling Mubarak and his cronies. With the apparent collapse of the state, protest action accelerated. Between May 2011 and April 2012, there were 1137 protest activities by workers. Labour action in the post-2011 period has put enormous pressure on the Egyptian economy and has resulted in some gains for those workers who downed their tools, mainly in the form of modest wage increases. But these protest actions were not leveraged into nationwide achievements for labour or for the cause of social transformation and sector-wide structural reforms. The demand for the removal of Mubarak united all social forces in the country and helped to downplay the contradictions among them. But once this demand was achieved, the solid front that formed in Tahrir square began to unravel, and contradictions came to the fore: between Islamists and seculars, between various political factions on the left and centre and between labour and the Egyptian middle class. The remnants of the old regime, still in control of most of the media, the judiciary and through their alliance with the Islamists managed to slowly widen the gaps between revolutionary forces, in particular youth groups such as the 6th of April movement, and the majority of Egyptians. Continuous, uncoordinated protest action by the workers was portrayed, in the media, as a betrayal of Egypt by selfish workers who only cared about their immediate self-interest and were thus harming the economy of the country and the welfare of its people. So far, the workers have not managed to articulate a counter narrative. They made significant gains on the back of the near collapse of the state. Since the ousting of Mubarak, at least one thousand independent trade unions have been established. But they remain in a legal limbo: so far, a much awaited law guaranteeing trade unions’ freedoms has not been passed, and is not likely to be passed anytime soon under the current counter-revolutionary climate. These newly established trade unions were federated under the banner of the Egyptian Independent Federation of Trade Unions (EIFTU). But soon enough, problems began between its leader, Kamal Abu-Eita, and another powerful figure, Kamal Abbas, who has been since 1990 the general coordinator of the Centre for Trade Unions and Workers Services (CTUWS), a labour oriented NGO. Such personal disagreements plague the whole spectrum of Egyptian politics and it is no surprise that they also feature prominently among workers. 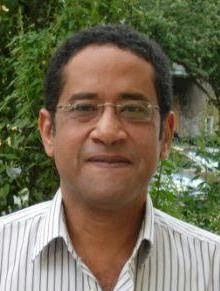 They operate to magnify differences in visions that are not impossible to surmount: Abu-Eita and his supporters wanted to seize the opportunity of revolution and create a strong political voice for workers, via their inclusion in the EIFTU and making it the legitimate voice of labour in Egypt, rather than the state dominated EFTU. Abbas, on the other hand, preferred to work from the bottom up, by first building the capacities of independent trade unions and then organising them at the national level. Unable to reconcile their approaches, the CTUWS together with a number of sympathetic unions split from the EIFTU and in early 2013 formed another trade union coalition, the Egyptian Democratic Labour Congress (EDLC). This split has fragmented the nascent Egyptian workers’ movement and has greatly undermined their cause. Not all workers are politically active. But for those who are, they continue to struggle to secure better working and living conditions, albeit within the existing system. In Tunisia, the UGTT has played a pivotal role in the political transition there, acting as a power-broker between the main political parties, while trying to ensure that Tunisian labour, as a class, benefits from the emerging political settlement. No such cohesive role is played by labour in Egypt. 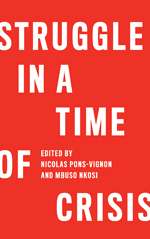 Yet, even though they are currently fragmented and have not developed their capacity as a progressive force, their continuous engagement in struggle, and the near collapse of the state and its capacity to deliver welfare to the population presents an environment that might enable them to coalesce behind a clear and convincing political agenda. Next to the discredited Islamists, and in the absence of credible political organisations, Egyptian workers remain the only social force capable of challenging and eventually transforming the status quo. Time, and whatever support they get from fellow workers elsewhere, will tell whether they manage to perform this historic task. Abdalla, N. (2012) “Egypt’s Workers: From Protest Movement to Organized Labor,” SWP Comments, No. 32, Stiftung Wissenschaft und Politik, Berlin, October. Ahmed Badawi is a political scientist, a non-affiliated academic and the Co-Executive Director of the Berlin-based Transform: Centre for Conflict Engagement and Political Development.